Tourist traffic signs are provided to guide visitors along the most appropriate route for the final stages of their journey. 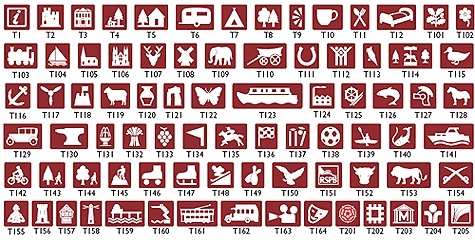 Tourist signs on motorways and trunk roads, such as the A1(M), A19(T), A64(T) and A64(T), are the responsibility of Highways England. We are responsible for tourist signs on all A, B and C class roads and most unclassified roads. The application fee is £165 and is non-refundable. Signs are provided at your own expense, including the cost of design, installation, and the repair or replacement signs as a result of theft, vehicle damage or general wear and tear in the future. On a single sign bearing the details of both tourist destinations where there is more than one tourist destination approved for tourist signs at a junction. There are unauthorised direction or advertising signs to the destination. What do I need to consider before applying for a tourist sign? Vehicular access to the tourist destination is from a public highway which has a maximum speed limit set at 40 mph or below. Vehicular access to the tourist destination is from a public highway which has a maximum speed limit set at above 40 mph. Individual attractions will not normally be signed. Provision of signs for larger tourist attractions may be considered if a benefit in terms of traffic management and/or road safety is achieved. Signing may be provided if the 'quality criteria' are met. Signs to facilities will not normally be provided in village situations, however, they may be considered if a benefit in terms of traffic management and/or road safety is achieved. It should not be assumed that tourist traffic signs will be provided on all suitable access routes to a tourist destination. Please note that eligibility under the 'quality criteria' and 'locational criteria' does not mean entitlement to signage. All relevant consents are in place from other authorities (where applicable) e.g. appropriate planning permission, possession of a fire certificate and certificates of health and hygiene for staff involved in food preparation. Safely accessible either on site, or close by (within 250m). Note: in most cases, on-street parking will not be considered an acceptable replacement for off-road parking. Able to provide some secure cycle parking facilities. There are adequate toilets, including facilities for disabled people, either at the destination or close by. There is adequate publicity material, including a clear and accurate map and/or directions. The destination generally is of good quality, well maintained and adheres to the accessibility standards suitable for its use, notably legislation relating to disabled access contained within the Disability Discrimination Act 1995. Tourist attractions are accredited by the 'Visitor Attraction Quality Assurance Service' (VAQAS), or by another recognised national or regional organisation of this sort. Tourist facilities are recognised by an appropriate body, concerned with maintaining quality standards. The site must be licensed under the 'Caravan Sites and Control of Development Act 1960', and / or the Public Health Act 1936. A minimum of 20 pitches should be available for casual overnight use. The site should be accredited by a quality assurance scheme administered by the Caravan Club or The Camping and Caravanning Club. A copy of licences held will be required. Must be accredited by the 'British Graded Holiday Parks Scheme' or the VisitBritain 'National Quality Assurance Scheme', and meet the English Tourist Board's quality standard for self-catering accommodation. The VisitBritain 'National Quality Assurance Scheme'. Be accredited by the AA, RAC or similar recognised body. Establishments must show they are registered under the food safety and hygiene legislation. Overnight accommodation should be accredited by the English Tourist Board (VisitBritain), AA, RAC or similar recognised body. Meals, and not just bar snacks, must be served at lunchtimes and evenings in a separate restaurant facility. Families with children must be allowed to eat in the restaurant. Where overnight accommodation is offered, it should be accredited by the English Tourist Board (VisitBritain), AA, RAC or similar recognised body. Applicants must demonstrate that they are taking steps to attract visitors from outside the local area, through promotion to the tourism market. There should be an a la carte menu with waiter / waitress service. It shall not be open only to pre-booked visitors, but shall be open to casual callers. Applicants should refer to the self-assessment and improvement planning guidelines issued by Sport England. What will the tourist sign look like? Often, only symbols will be used to identify facilities. Succinct naming of a destination is generally acceptable, descriptive words and phrases will not be permitted. In general, individual naming of facilities will not be permitted except for road safety or traffic management reasons. How do I apply for a tourist sign? You should first check that your business meets the requirements of a tourist destination and eligibility criteria (see frequently asked question). You should then complete the tourist destination signs application form (doc / 2 MB) and return it, along with all supporting documents, to your local highway area office for assessment. You can find contact details for your nearest area office at the back of the document. Application payment fee of £165 made payable to 'North Yorkshire County Council'. What happens once I have completed a tourist sign application? We will check if you qualify as a tourist destination and meet the eligibility criteria. Your application will proceed for consideration at stage two when we have gathered further information, this is likely to include an inspection of the site to identify signing requirements (location, size, number of already existing signs etc) and consultation with other relevant organisations e.g. national parks. Your application will be declined and will not be continued. You will be notified and given an explanation of the reasons for this. The county council's decision on this is final; there is no statutory right of appeal. Detailed design of appropriate signing will be undertaken and a letter sent to you with drawings of the proposed sign design, an estimate of cost for their provision and installation, and an agreement document. You will be notified that your application has been declined and given an explanation of the reasons for this. The county council's decision on this is final; there is no statutory right of appeal. If you decide to continue with your application for tourist signs, then you must confirm this by completing and returning an agreement, along with payment for the full amount of works to provide and install the signs. What are the conditions of authorisation for tourist signs? North Yorkshire County Council reserves the right to remove, reposition or alter the design of any signs which may be installed, if this is thought necessary in the interests of road safety, traffic management or to accommodate other traffic signs in the vicinity.